The Seven Basic Tools of Quality is a designation given to a fixed set of graphical techniques identified as being most helpful in troubleshooting issues related to quality. They are called basic because they are suitable for people with little formal training in statistics and because they can be used to solve the vast majority of quality-related issues. Industry Experienced & Expert Faculty-Guidance. 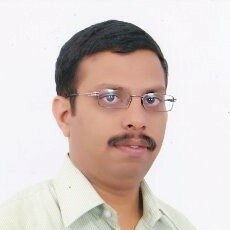 Is a qualified Mechanical Engineering ,Tool and Die Maker with 11 years of handson experience in implementing Quality Tools at various organisations like Safran Engineering Services India, Tech Mahindra Bangalore, Quest Global, Maini Precision Products, CADD Center etc., He is a specialist trainer in Lean Six Sigma, ISO 9001:2015, Engineering Design and few other Quality Tools and has trained around 5000+ participants in the above said Quality Tools. CourseUniv is an online platform offering Professional Courses that advances and accelerates careers of students and working professionals. CourseUniv is a brand owned by Learning Online Solutions Pvt. Ltd and is backed by Industry Professionals who have 100+ years of collective experience in teaching professionals. © Copyright 2017. All Rights Reserved by CourseUniv.